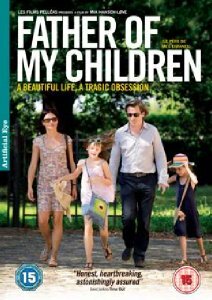 Winner of the 2009 Un Certain Regard - Special Jury Prize at Cannes, director Mia Hansen Love's critically acclaimed feature is an absorbing and wonderfully acted portrait of a family in crisis, inspired by the tragic final days of her mentor and friend - producer Humbart Bulsan. Gregorie Canvel played impeccably by Louis-Do de Lencquesaing has everything a man could want: a wife he loves, three delightful children and a stimulating job as a film producer. Yet his prestigious production company seems to be on a downward spiral - too many projects, too many risks and too many debts. As storm clouds begin to gather, Gregorie ploughs on at all costs until he's finally forced to confront the reality of the situation.